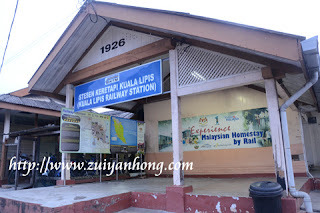 We dropped by Kuala Lipis Railway Station during our Kuala Lipis trip in 2013. Kuala Lipis Railway Station was built in 1926 during British Colonial era. The railway station still exists and operates satisfactorily. 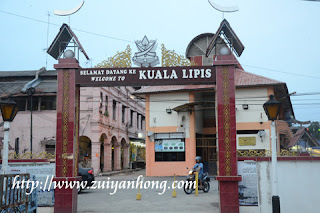 Located in Kuala Lipis old town, Kuala Lipis Railway Station played an important role in the transport of Kuala Lipis before the independence of Malaya. Trains which head to the south will end in Singapore. 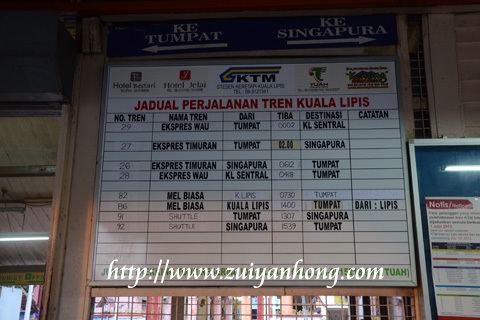 Meanwhile trains which depart to the north will stop in Tumpat, Kelantan. There were two youngsters sitting at the platform. 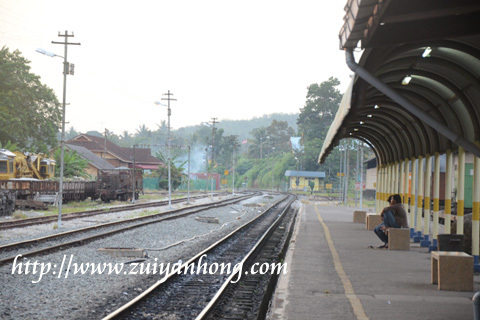 Not sure whether they were waiting for the arrival of the train or just hangout there. 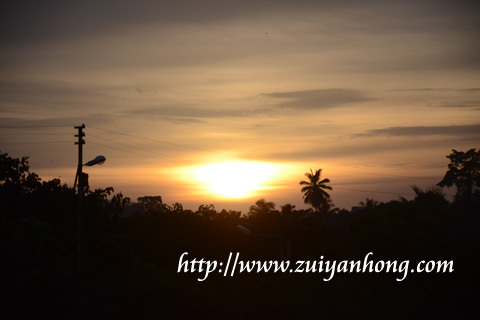 We reached Kuala Lipis Railway Station at dusk and in time to capture the amazing sunset photos. 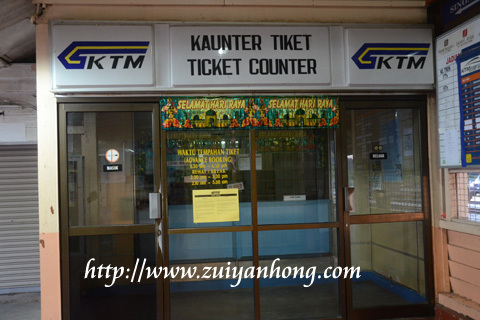 The ticket counter already closed when we arrived at Kuala Lipis Railway Station. If not we were able to ask the officer on duty about the information of the historical railway station. The train schedule at the ticket counter showed clearly every trip of the train reaches and leaves Kuala Lipis Railway Station. The wooden building of Kuala Lipis Railway Station is still preserved in good condition. 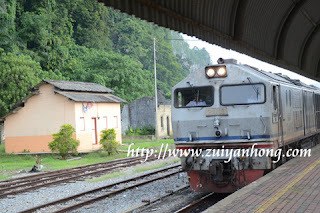 Don't know the reason KTM does not upgrade the railway station. 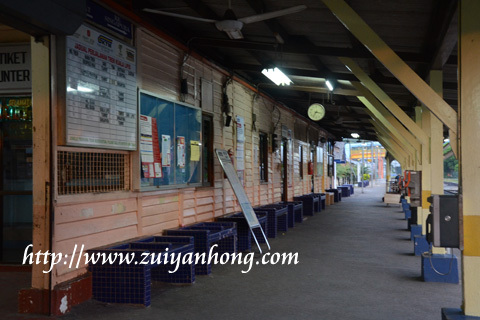 Maybe KTM wishes to turn the railway station as a site for remembrance. On the other hand maybe KTM is running out of capital due to depreciation of Ringgit Malaysia.